I got into a confused frenzy just the other day when my friend /client told me to meet her at the WOLO. I was waiting for her in front of the Fahrenheit 88 or the ex KL Plaza. Being a Klang Valley person now , I seldom step foot in Bukit Bintang unless it was a walk to Pavilion via the covered walkway from the KLConvention Centre. 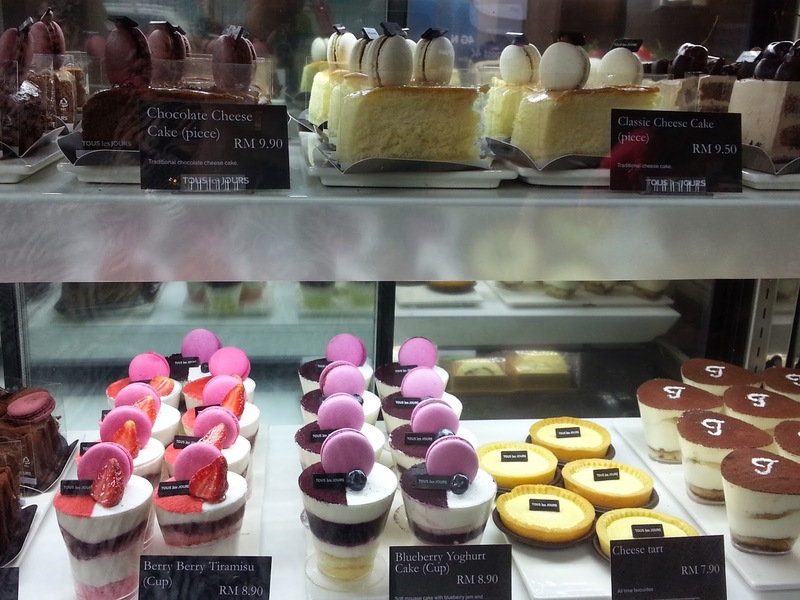 I had to then walk to Lot 10 and across the road to Sungai Wang looking blank. The policeman at the corner booth looked at me in askance and then I asked him " Bang, adakah tempat di sini nama WOLO?" 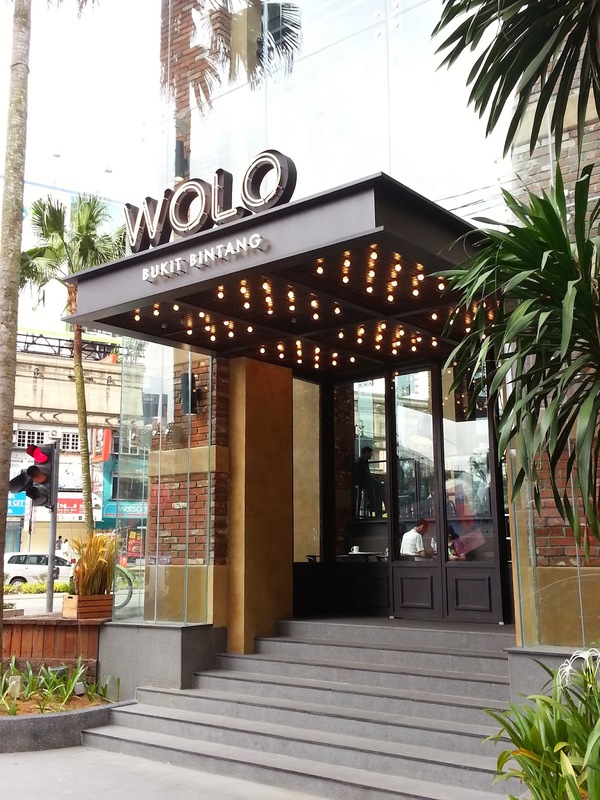 (Brother, is there are place here called WOLO?) which he then pointed out to me much to my embarrassment since it was the other building opposite Lot 10. Thanking him, I rushed off as I was kinda late for my appointment . 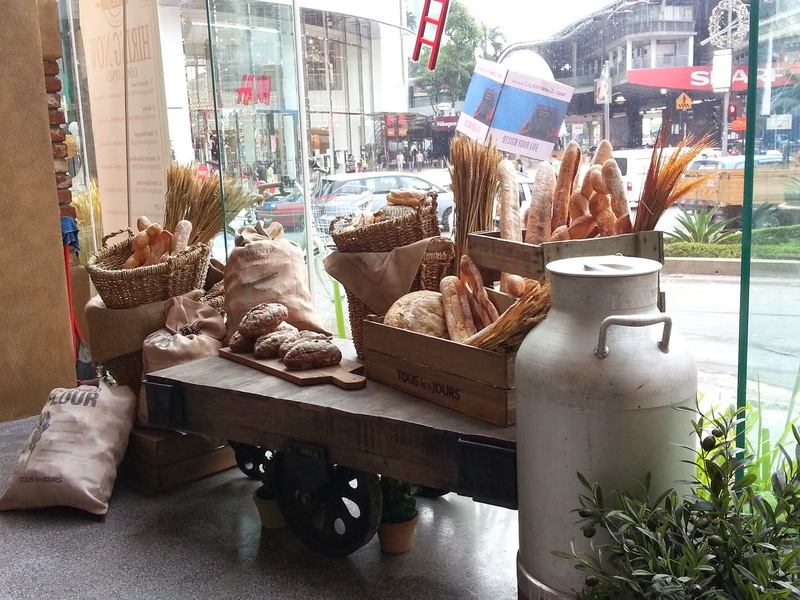 Stepping into the Tous Les Jours was like stepping into a bakery in another country. It brings to mind Europe.. I ordered an tropical fruit tea or something... 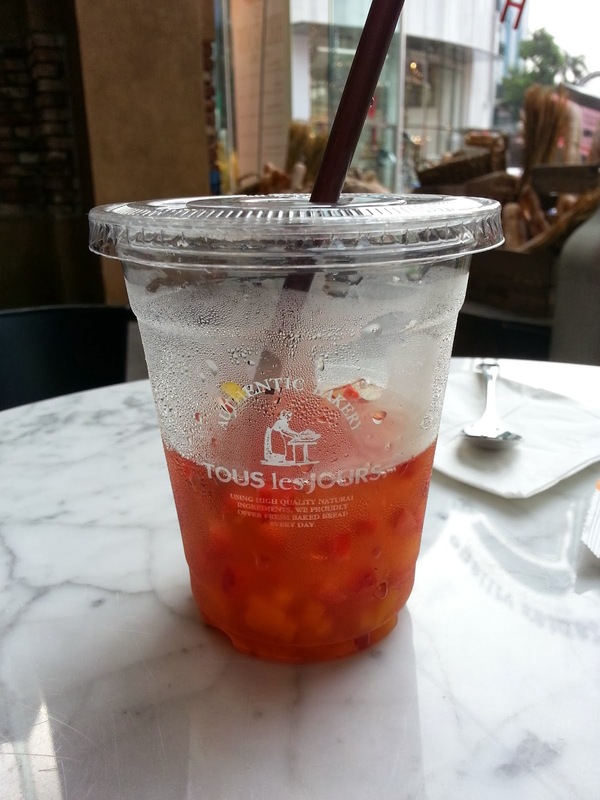 It was pretty delicious.. actually I think it was iced lemon tea but with tiny chopped bits of mango and strawberry. Love the deco.. don't you? 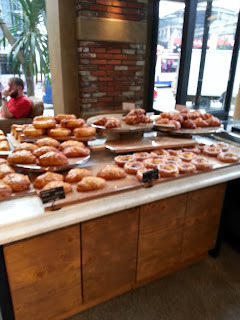 And the pastries really taste lovely. I bought some buns to take away and I had these in my office with another colleague and they were mouthwateringly delicious... far beyond my expectation..
Another thing I was surprised was that the staff all greets customers in Korean "anyoung haseyo", until I realized it was actually Korean owned.. 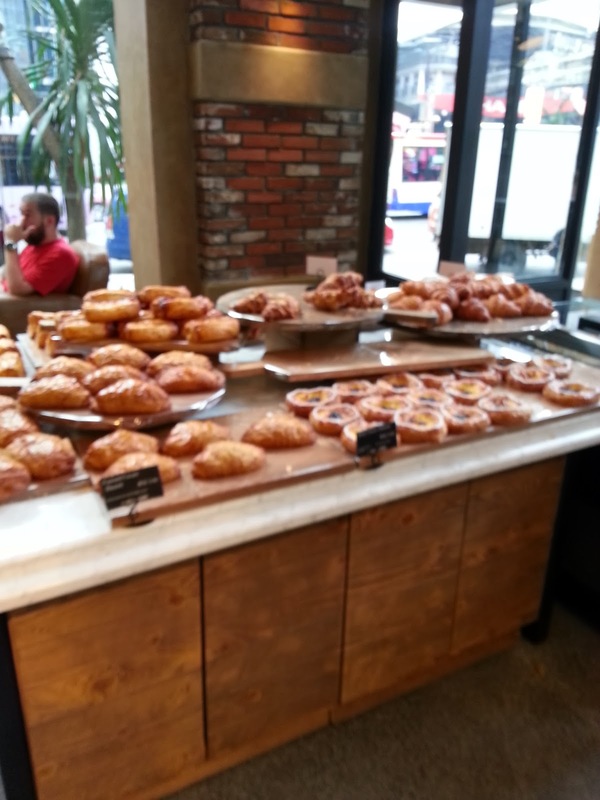 The pastries, cakes and all sold here are quite reasonably priced as any other boutique bakery that are now adays popping up all over the place. 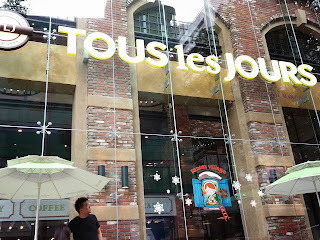 Tous les Jours opened from 8 am until 11 pm, everyday. The location of Tous les Jours, Bukit Bintang is just opposite of H&M, Bukit Bintang, McDonald Bukit Bintang and Monorail Station Bukit Bintang. 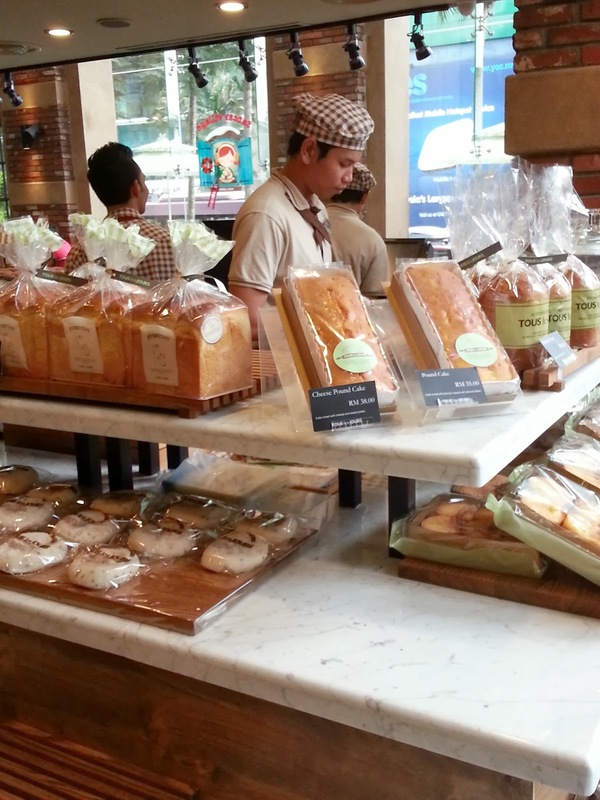 The Tous les Jours (TLJ) at Bukit Bintang offers many types of kinds breads and cakes, all recipes from Korea. 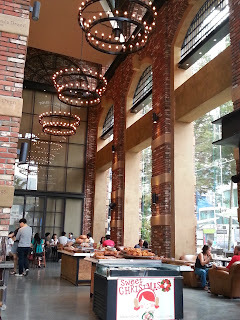 I did not know it but TLJ is a very popular boutique bakery in Korea. and that this branch of TLJ is actually the 2nd one. 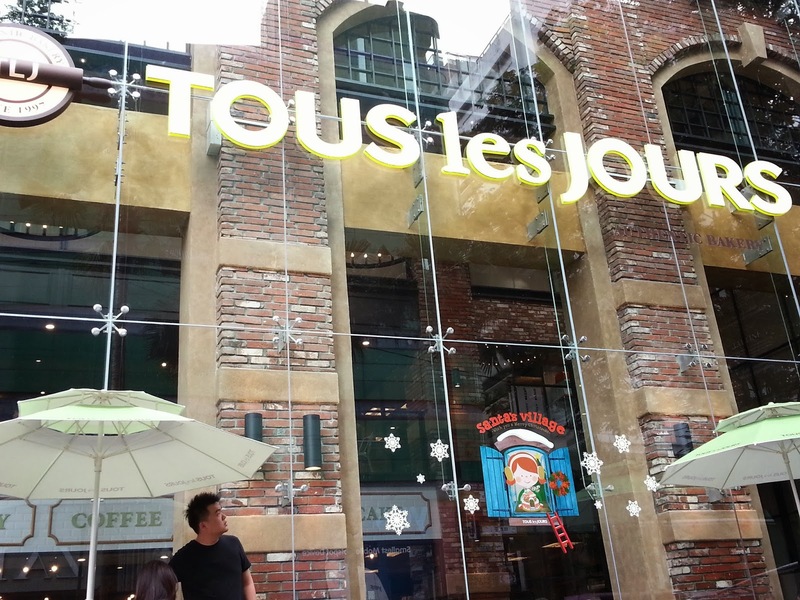 The first branch of TLJ in Malaysia is Tous les Jours at Telawi Square, Bangsar, Malaysia.